The REF should recognise and reward dynamism by using productivity measures, examining research income input against research quality output. National research data infrastructure should be developed as a one-stop shop for information for researchers and the HE sector more broadly. 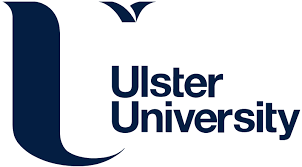 The analytical function and expertise which has been built up around the REF should form the nucleus of a national research analysis unit, informing the entire UK research and innovation ecosystem in an advisory role to Research UK when it is formed. Environment and impact should be assessed at Panel level within the REF so that challenge-based and interdisciplinary research are fully captured. Consultation should take place with the research community on establishing common currencies and units to measure impact. The REF must retain a selective staff approach to avoid contractual changes which would be to the detriment of the UK research ecosystem. “The dual support system is the crucial element underpinning the diversity and excellence of research taking place in the UK. “The REF has proved a cost-effective and flexible tool for rewarding excellence wherever it is found. It has been successful in supporting universities’ world-class research, helping tackle global challenges and ensuring that real-world impact receives the recognition it deserves. “Universities undertake 75% of the UK’s publicly-funded research, so even more value can and should be derived from the REF evidence about our national research capability. 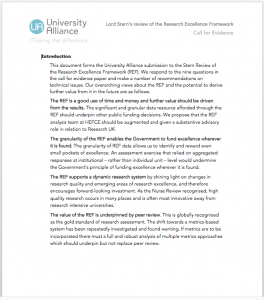 The call for evidence on the Research Excellence Framework review was published on 27 January 2016 and closes today. Coverage of our response has appeared in Times Higher Education – you can also read our full response to the Stern Review here.